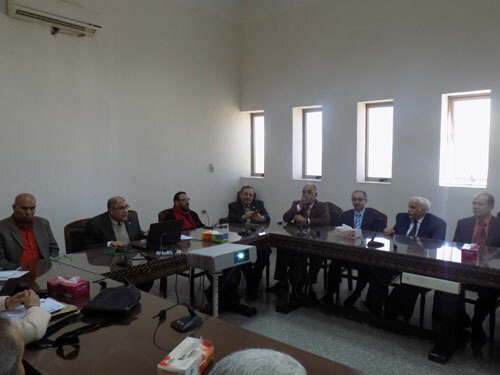 Under the auspices of Prof.
Ashraf Abd El-Hafiez Rahil, Acting President of Fayoum University and chaired by Prof. Mohamed Eesa, Vice President for Postgraduate Studies and Research, the Council of Postgraduate Studies, Research and Cultural Relations held its 142nd meeting on Sunday 17/2/2019. Prof. Mohamed Eesa said that the letter of Prof. Khaled Abd El- Ghaffar, Minister of Higher Education and Scientific Research, concerning the preparation for a global scientific forum in the period ahead under the name of "Forum for Higher Education and Scientific Research Between the Present and the Future" has been presented during the meeting. All the Egyptian universities (governmental - Community-based - private) and research centers and bodies will participate in that forum through a pavilion and research center for each university through which the inventions and innovations of students and faculty members are presented. 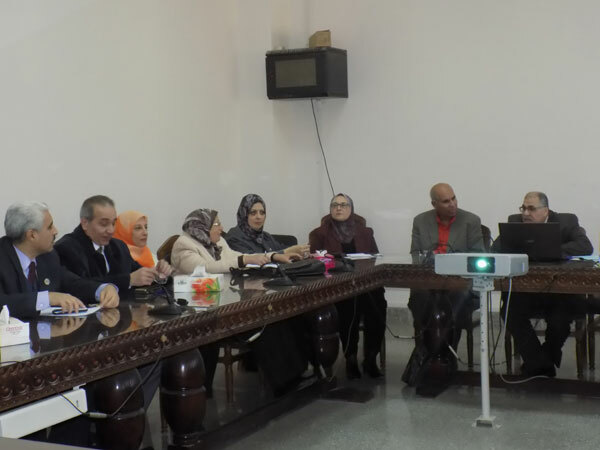 The allocation of a pavilion for Fayoum University in the exhibition accompanying the Forum has been approved. In addition, two other letters were discussed during the meeting: the first was the letter of the Minister of Higher Education and Scientific Research on coordination with the Ministry of Water Resources and Irrigation before organizing or sponsoring any water-related events (conferences / workshops / training sessions), and the second was the letter of Dr. Mohammed Abdel Ati, Minister of Water Resources and Irrigation including the recommendations issued by the Cairo Water Week held in October 2018. 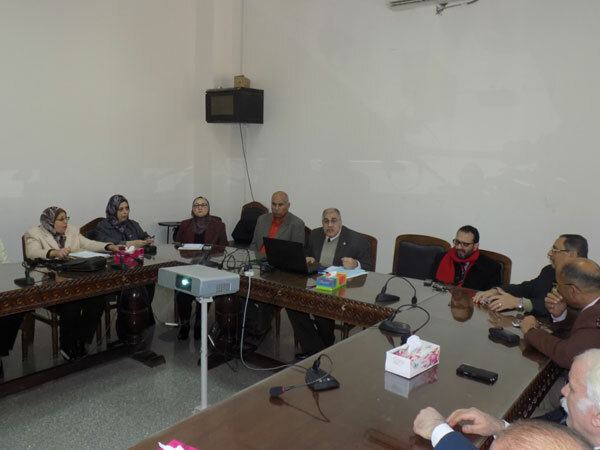 Also during the meeting, the proposal of the Faculty of Science concerning setting up an award for best institutional performance at Fayoum University was presented. Prof. Mohamed Eesa said that the council has approved the registration of 45 master's and 12 doctoral dissertations in different specialties in the faculties of the university. Moreover, the council approved the extension for the second year for 10 scholars and exceptional extension for three others.